As for the house, it was purchased by the organization in 1979 to create a peaceful oasis in the center of urban Hollywood—a place for people to be cured of their spiritual and physical ailments through the appreciation of art, natural agricultural, and the healing practice of “Jyorei.” But for a period during the helter-skelter 1960s, author Joan Didion called the house home. At the time, Didion began her days with a cold bottle of Coca-Cola and a can of salted almonds. She awoke late each morning and, donning a pair of oversized black glasses, made her way down the L-shaped staircase to the kitchen of the seven-room Hollywood estate she shared with her husband and daughter. 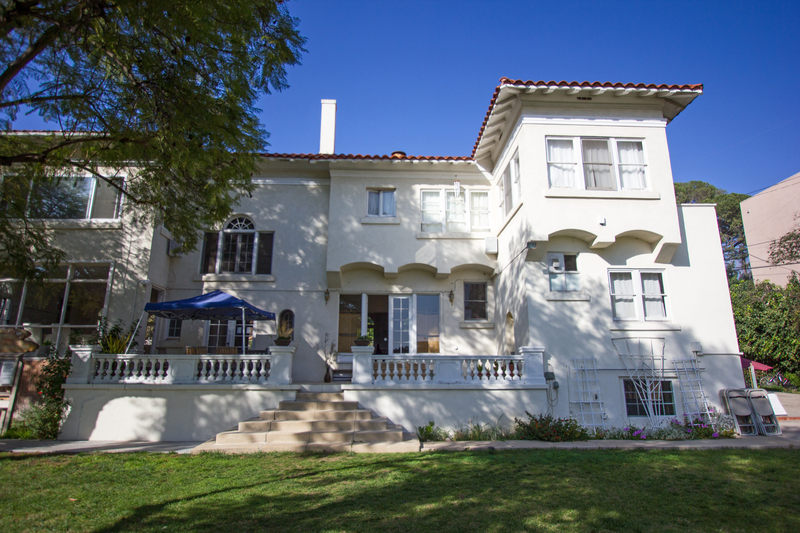 By the time the Didion moved there in 1966, the house was already a relic of Old Hollywood. 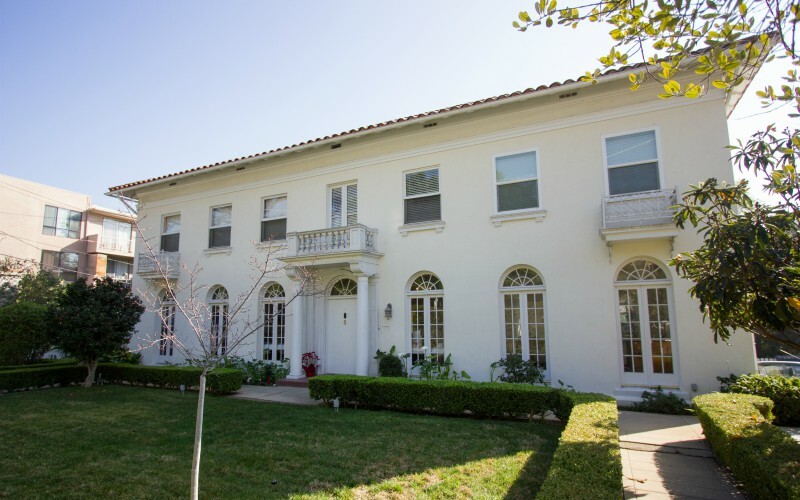 Built in 1920, it boasted a Greek-columned front facade, clay tile roof shingles, and many white French doors topped with arched window panes. The house appears in a number of Didion’s pieces, most notably The White Album, her now classic work of New Journalism chronicling a succession of increasingly fragmented events that she experienced as a magazine reporter in the late ’60s. Against the backdrop of the Manson murders, Didion recounted how this mounting unease radically distorted her perception of an ordered reality, a feeling she was unable to shake during her time in Hollywood. “The Sixties did not truly end for me until January of 1971, when I left the house on Franklin Avenue and moved to a house on the sea,” she wrote. While Didion believed it was only a matter of time before the building’s owners would tear down the old estate and replace it with a high-rise apartment complex, the house on Franklin still stands today. For this we can thank Shumei and its adherents, including Annie Pierce, one of the center’s managers. “The first time I stepped in this door I said, ‘How do you get to live here?’” says Pierce, who moved in last year. Upon my visit, Pierce, a casually dressed mother of two adult children, described Shumei principles and showed me around the natural garden in the center’s ample backyard. She then invited my partner and I, who accompanied me on the visit, to have a look inside. I’m happy to report the house’s interior appears strikingly similar to how Didion described it. 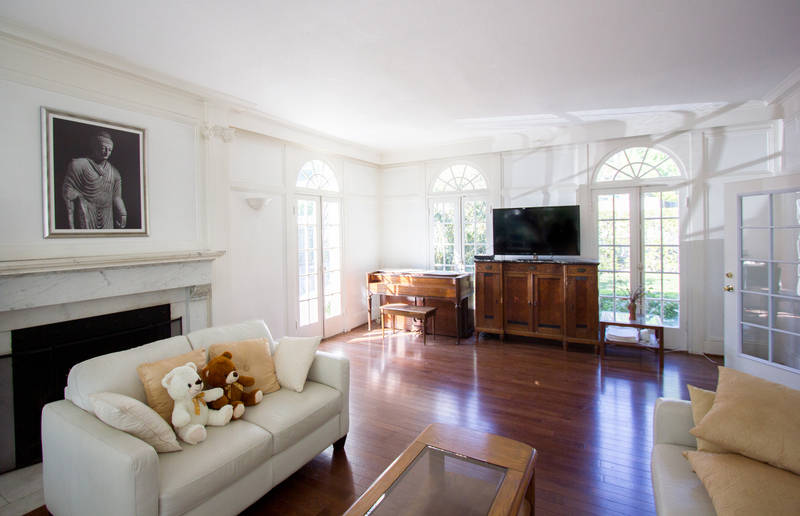 The French doors are still intact, and the main living and dining rooms remain sparsely furnished with vintage furniture that looks like it could have been left over from Didion’s time there. When I asked Pierce if she was aware that a famous author had lived in the house, she replied, “You mean Joan Didion!” and pulled out laminated copies of the famous black-and-white portraits Julian Wasser took of Didion and her family at the house. According to Pierce, the producers of the recent Didion documentary had reached out hoping to hold a screening of the film at the house, but that the plans ultimately fell through. After watching the documentary, Pierce was surprised to learn about the house’s history. “They were having some serious parties here—I mean, Janis Joplin! It must have been wonderful,” she says. We were invited to take a seat, and Pierce called to another one of the center’s managers to perform Jyorie for us. “The chant too?” the manager asked. “No, no chanting—we don’t want to freak them out,” Pierce replied. She closed the door and politely asked us to shut our eyes. We were instructed to sit straight so that light could enter our third eye and to make a slight bend at our waist to reveal our crown chakra. The two healers then stood before us with outstretched arms, focusing a “spiritual light” that would penetrate our bodies and remove any “spiritual clouds” that may have been causing sickness or unhappiness. 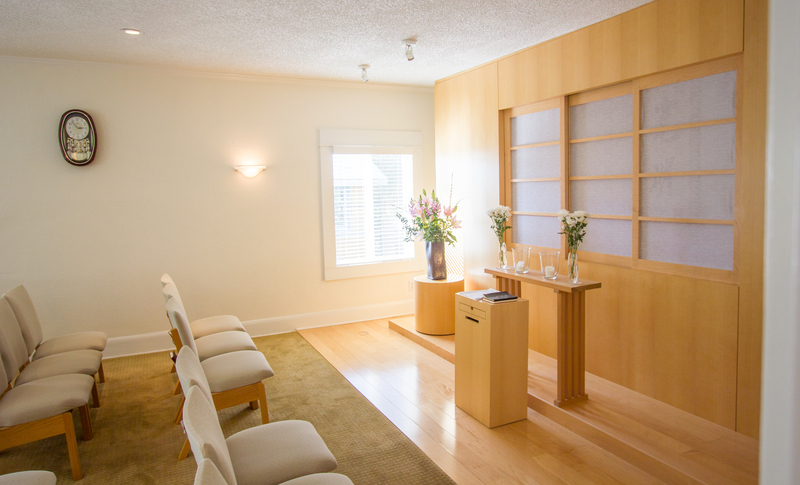 The fact that I was partaking in a kind of new-age purifying ceremony in the very bedroom where Didion may have once peered out her window to glimpse the hidden practices of the “therapy groups” next door, was not lost on me. After about silent five minutes, the session was complete and the healers thanked us with a bow before turning to salute the alter. “How do you feel?” Pierce asked. “Relaxed,” my partner replied, somewhat timidly. Pierce says it’s not uncommon for Didion enthusiasts to stop by asking to poke around the writer’s old residence. She’s eager to show them the home’s original French doors and gently shaded back terrace—and of course, to share the principles of Shumei. She’s even hopeful that one day, Didion herself may return for a tour of the house on Franklin.